Welcome to Lake Erie The Walleye Capital of The World! In 2003 Lake Erie set a all time record hatch of walleye and that record hatch pretty much carried Lake Erie with just the occasional hatch to 2014. A Super hatch 2014 but not record hatch these walleye are now 5 year olds 4 to 6 lbs on the average. 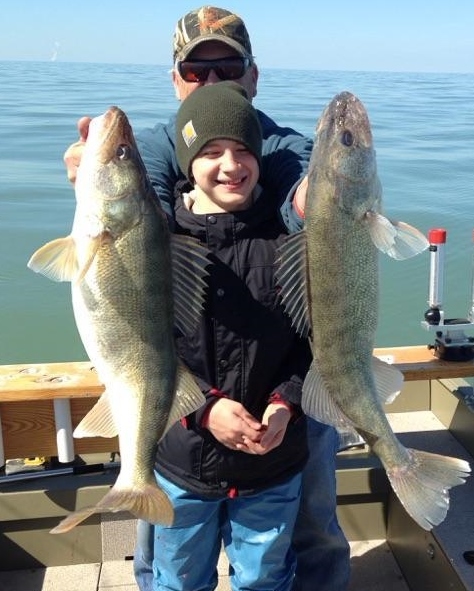 2015 New Record hatch of walleye 4 year olds 3 to 5 lbs. 2018 All Time Record Hatch! 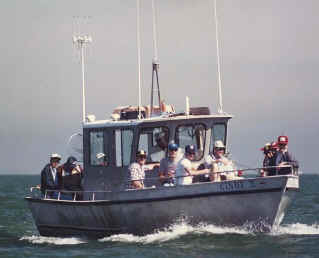 The Lake Erie Committee Fishery Managers from Michigan, Ohio, Pennsylvania, New York and Canada – Estimate 41 million walleye age 2 years old and older, 15 to 32 inches swim in Lake Erie today. This number does not include the new all time record hatch set last spring in 2018. Their numbers will come into the equation later this year. Welcome to Lake Erie The Undisputed Walleye Capital of the World for many years to come! Catching Walleye in numbers and size !!! 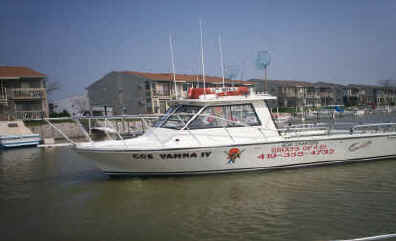 Coe Vanna charters will start fishing right after ice out in April and catch walleye limits pretty much on a daily basis right through Oct! 2015 Walleye Hatch right there with 2003 which was the Biggest WALLEYE hatch on record! Yellow Perch hatch also very good. Walleye numbers are now confirmed as the division of wild life has released up to date info this fall. All indications are a super hatch this year. These young of the year are growing at a incredible rate some yearlings measuring 10 inches in Sept. 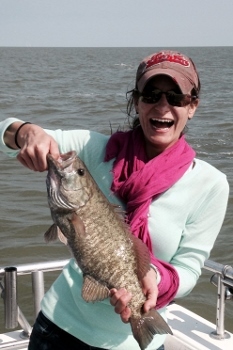 Fantastic news for Lake Erie’s walleye stock and walleye fisherman! Oct 2015 Walleye hatch suggests above average walleye fishing for Lake Erie for the next 3 to 5 years. Walleye fishing in Lake Erie is expected to be especially good for the next three to five years, officials at the Ohio Department of National Resources said Wednesday. Yellow perch fishing also appears to be on the upswing. The ODNR officials said the 2015 walleye fish hatch was one of the biggest in recent history, according to biologists who monitor the lake. Officials came up with their walleye picture by using survey data from ODNR trawling of the lake’s western basin, along with data from the state agency’s Canadian counterpart, the Ontario Ministry of Natural Resources and Forestry. The average catch of 84 spring hatch walleye per hectare (about 2.5 acres) is well above the long term average of 32 per hectare, the ODNR said. In addition, the 2015 yellow perch hatch appears to be the fifth-best since surveys began in 1987, the agency said. “Three good yellow perch hatches in a row should help the perch population in the western basin rebuild and lead to quality yellow perch fishing over the next couple of years,” said Jeff Tyson, head of Lake Erie Fisheries Program for the ODNR Division of Wildlife. 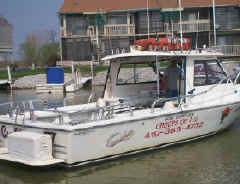 2014 CLEVELAND, Ohio – Ohio Division of Wildlife fisheries experts have rated this spring’s Lake Erie walleye hatch as the best in the last four years. Trawl nets are used to collect small 3- to 4-inch walleye that had hatched during the spawning season March and April. The young walleye initially feed on plankton, switching to small fish as they grow larger. Tyson emphasized this year’s hatch couldn’t come close to the amazing walleye reproduction in 2003, which still drives Ohio’s sport fishing on Lake Erie. 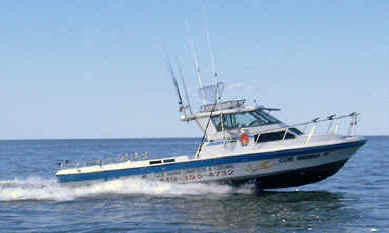 The monstrous 2003 hatch pushed the lake-wide walleye population over the 100 million mark. The walleye population estimate last spring was about 20 million walleye. This year’s walleye hatch was similar to 2010 and 2007, said Tyson. A steady string of decent hatches in recent years has resulted in a broad range of ages and sizes making up the Lake Erie walleye population. Tyson was upbeat about the success of spawning Western Basin yellow perch, a population that has been in decline. The slumping perch stocks around western Lake Erie had shut down the commercial trap net fishing there over the past two years, and in four of the last six years.